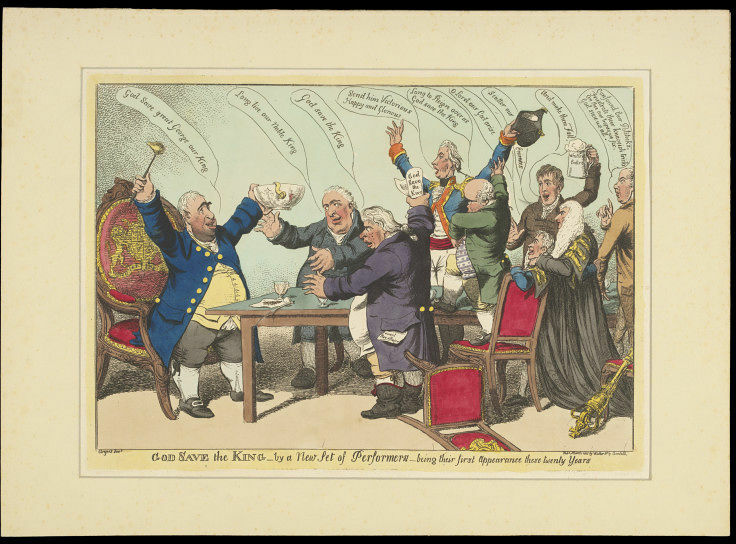 Print entitled 'God Save the King - by a New Set of Performers - being their first Appearance these twenty years'. 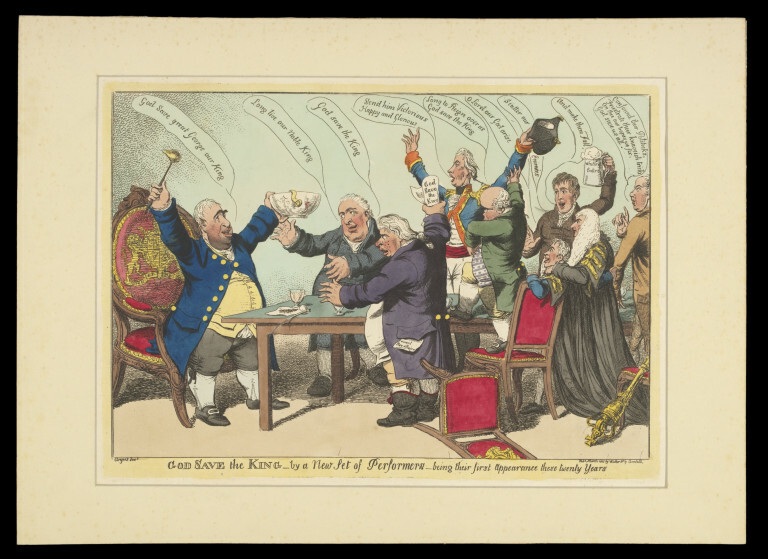 Charles James Fox and the Foxites toast King George III. Published in London by Walker. Etched and hand coloured print entitled 'God Save the King - by a New Set of Performers - being their first Appearance these twenty years'. 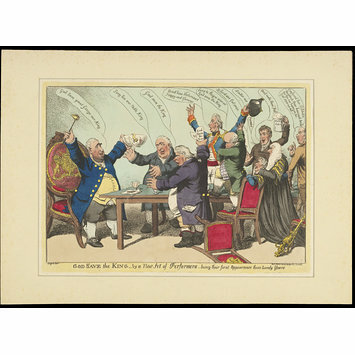 Print entitled 'God Save the King - by a New Set of Performers - being their first Appearance these twenty years'. Published in London by Walker in March 1805, Harry Beard Collection.